Baltimore Freightliner-Western StarIs Your Truck in Need of Repair? Call Us! Need to get your truck back out on the road in like-new condition? Take it to the Baltimore Freightliner-Western Star Body Shop (a.k.a. Harbor Body Shop)! We have an expert team of expert craftsmen who have years of experience dealing in body damage and truck restoration and repair. We can fix structural damage caused by accidents as well as cosmetic damages. The image of your business is important, and a banged up, ugly truck just doesn’t look good or professional, no matter what angle you look at it. Scrapes, scratches, gouges, and dents might not affect your truck’s performance, but they do hurt your image. We can address any of these superficial issues in our body shop. Regardless of the color of your truck, our 65-foot heated paint booth and Sherwin-Williams mixing station allows us to perform the ultimate in professional paintwork – so you have nothing to worry about! In the unfortunate case that you’re involved in an accident, you need your truck back to normal and out on the road again as soon as possible. 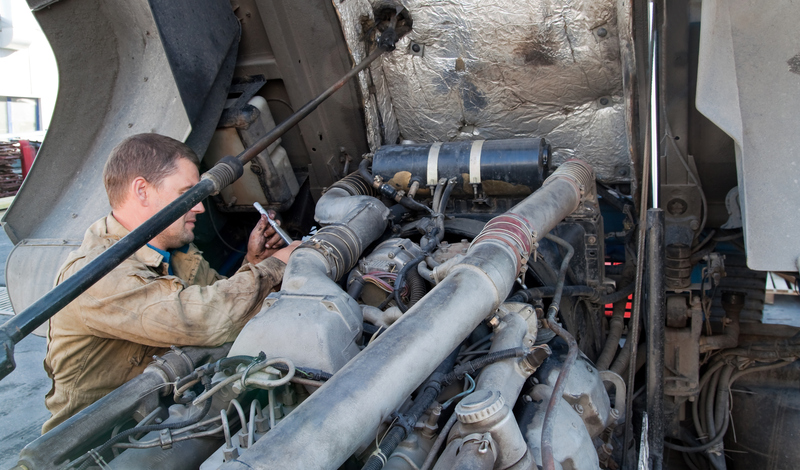 Luckily, our Baltimore Freightliner-Western Star truck repair experts are capable of fixing any external or internal issues caused by an accident. The estimates we prepare are accurate and honest, and if the damage to your truck is part of an insurance claim, we are completely familiar with the process and how to proceed. Is a truck in your fleet in need of truck repair services? Call the experts at Baltimore Freightliner-Western Star today to schedule a repair. If you’re in the trucking business or are looking to discover more about commercial truck sales, call on Baltimore Freightliner-Western Star. You can call toll-free at 800-832-7278 or locally at 410-685-4474 or email us your questions and concerns at info@baltimorefreightliner.com. Since 1986, Baltimore Freightliner-Western Star has provided top quality service for the trucking industry. Whether you need to purchase specialized truck parts from our expansive inventory, expand your fleet with our selection of top-tier trucks, or have your company’s trucks serviced or repaired, Baltimore Freightliner-Western Star is the best choice in trucking. Become one of our many satisfied customers today! Be sure to follow us on Google+, Twitter, Pinterest, and Facebook to stay up-to-date on all the latest from Baltimore Freightliner-Western Star. This entry was posted on Friday, October 2nd, 2015	at 3:16 pm	and is filed under Blog, Body Shop	. You can follow any responses to this entry through the RSS 2.0	feed. Both comments and pings are currently closed.